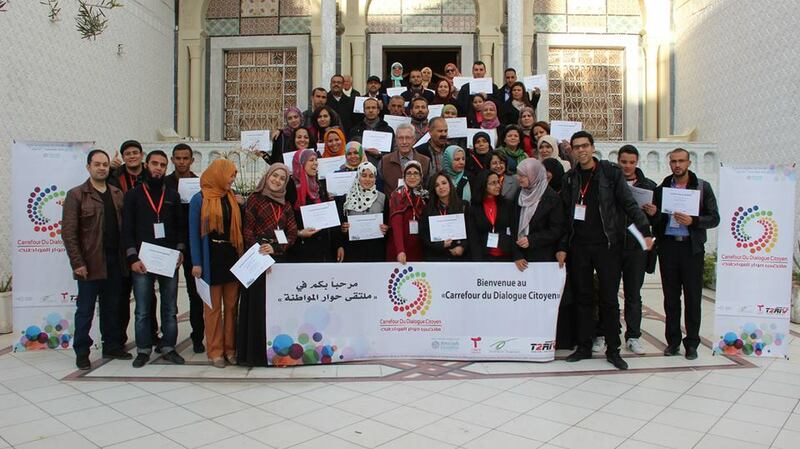 End February 2014– Two hundred had applied and a selected 43 participants, mostly women and young people from the north the south and the centre of Tunisia came to Kairouan, which is 170km south of Tunis, known for its carpet weaving and its Makroudh pastry. In the Middle Ages the city had been an important if not the centre of North Africa. Back in Tunis, the head of an organisation that had contributed to the catering costs of the Kairouan training received three representatives of this event. He expressed genuine interest to continue cooperation and also establish it with the INGO Conference. The Dialogue Hub’s slogan: “From Polarisation to Participation” seemed to ring bells with this man as it did with others.